Kansas City, KS (April 21, 2013) - JJ Yeley's weekend in Kansas started off by playing "shoe fairy" at Kansas City's Children's Mercy Hospital as part of his work with the Random Acts of Kindness Foundation. Partnering with Peach's Neet Feet, he gave away three pairs of hand painted shoes to children who have been diagnosed with a serious illness. 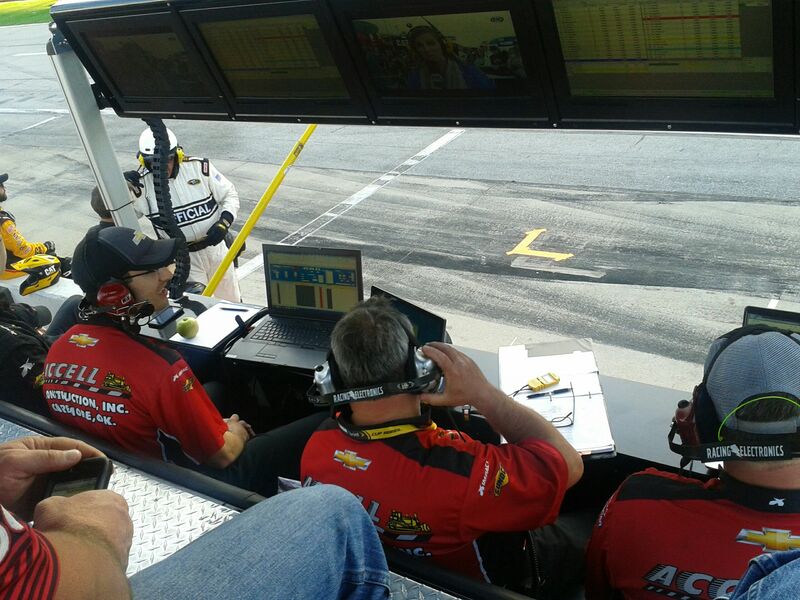 Getting down to business at Kansas Speedway, Yeley and the No. 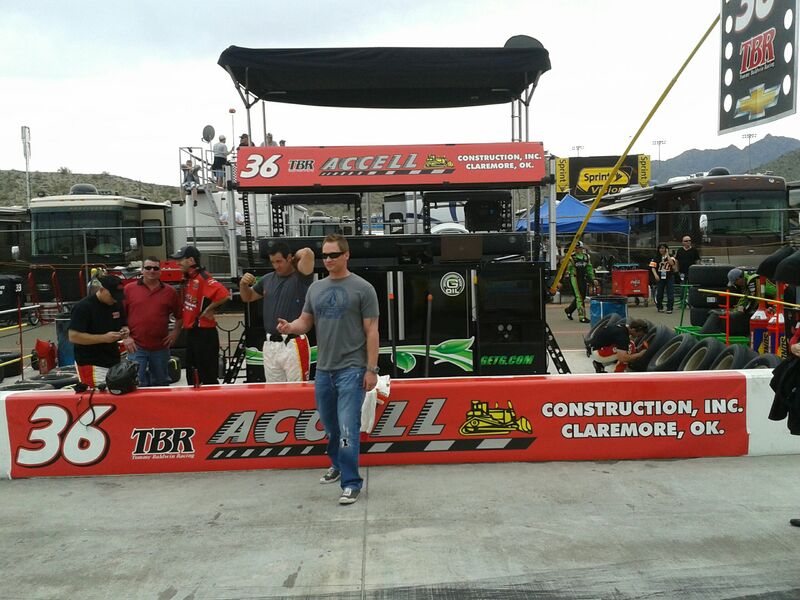 36 Accell Construction team had one morning practice prior to qualifying for Sunday's race. 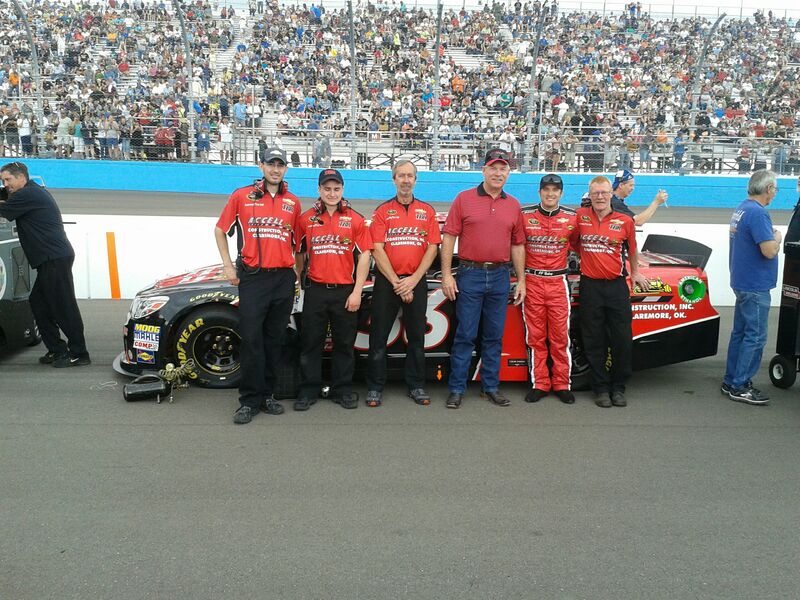 Yeley qualified for the STP 400 in 40th position. 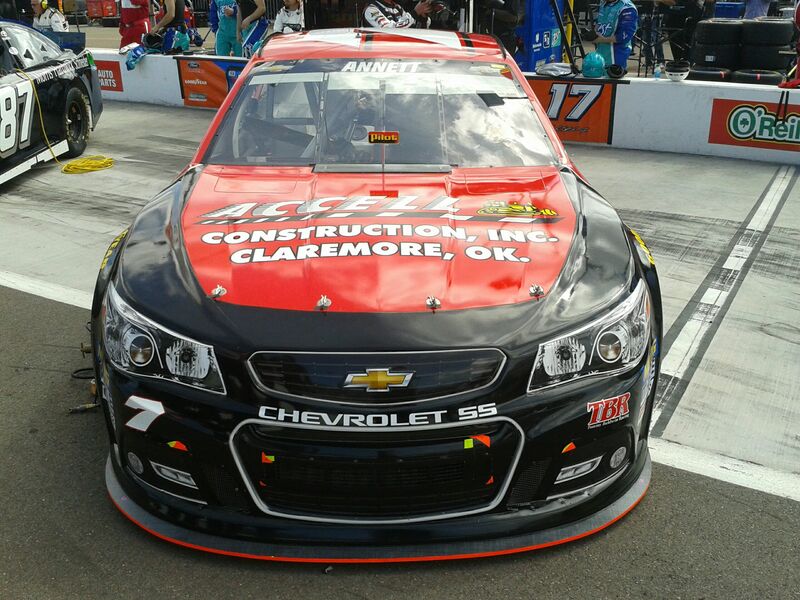 This gave the team an opportunity to make adjustments to the car before Saturday's two rounds of practice. 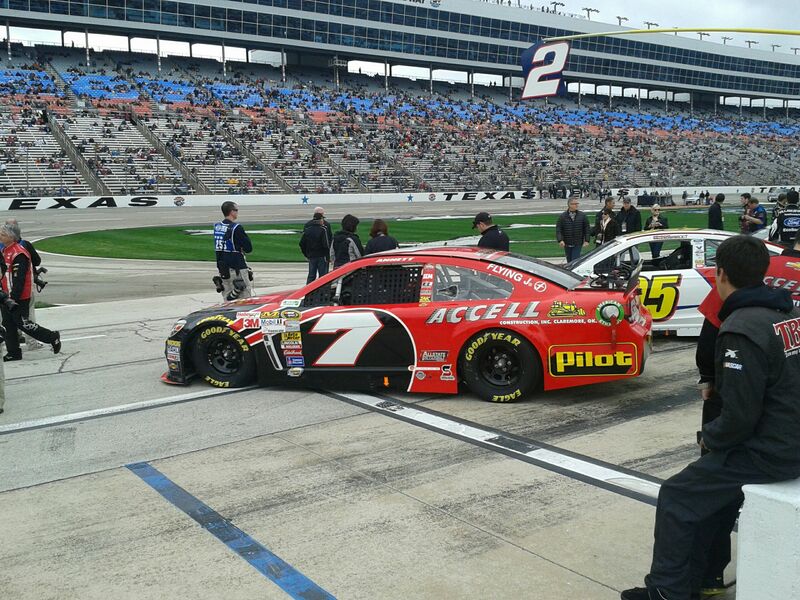 Rolling off the track Sunday afternoon, Yeley and the Accell Construction Chevy SS were ready to go. He began his climb to the front, avoiding single car cautions, and making a steady gain in positions. 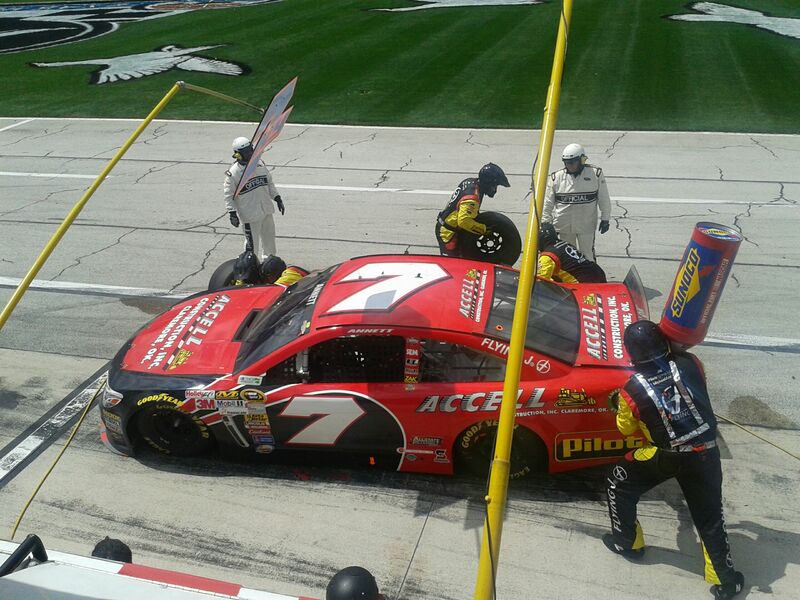 However, on Lap 145, bad luck struck, and the drive shaft broke. Pulling the car into the garage the team went to work swapping out parts to try and get the car back out onto the track. 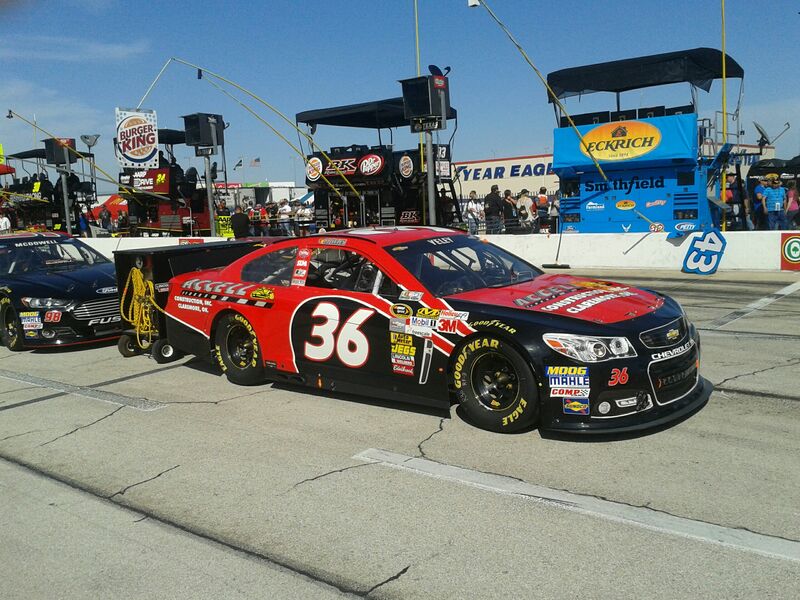 With 51 laps down, Yeley returned to the race, and managed to finish the race in 35th. 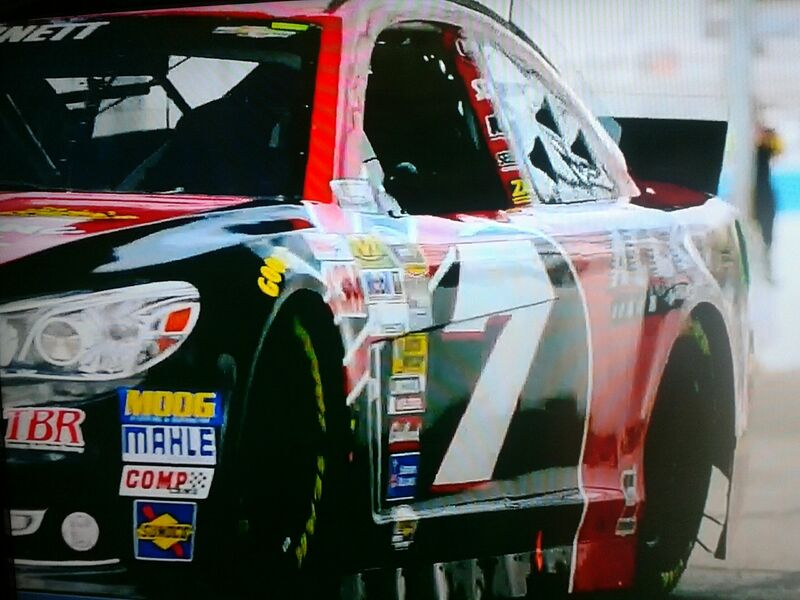 "Bad luck again this weekend for the No. 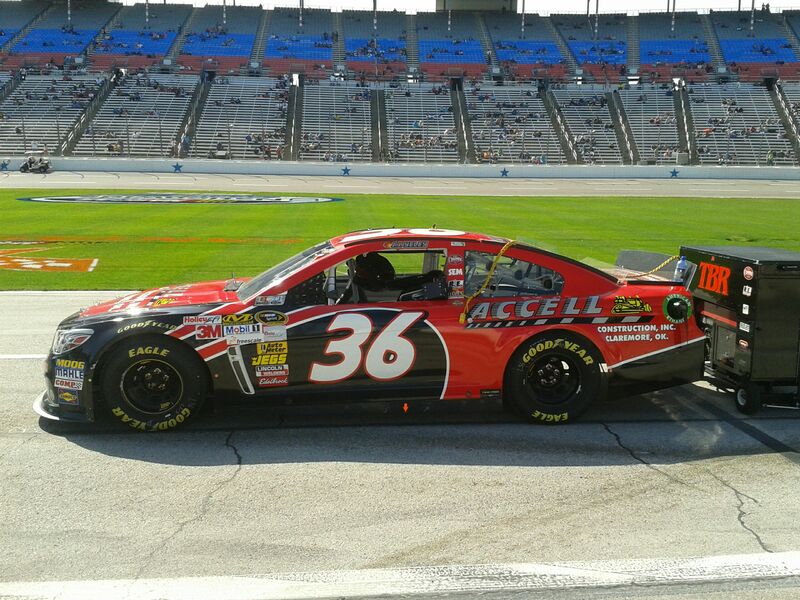 36 Accell Construction Chevy." Yeley commented, "We broke a drive shaft half way through the race, but I'm proud of the hard work these guys put into the car to get me back out to finish and gain a couple positions. Tough break, but we'll head back to the shop and get ready for next week." 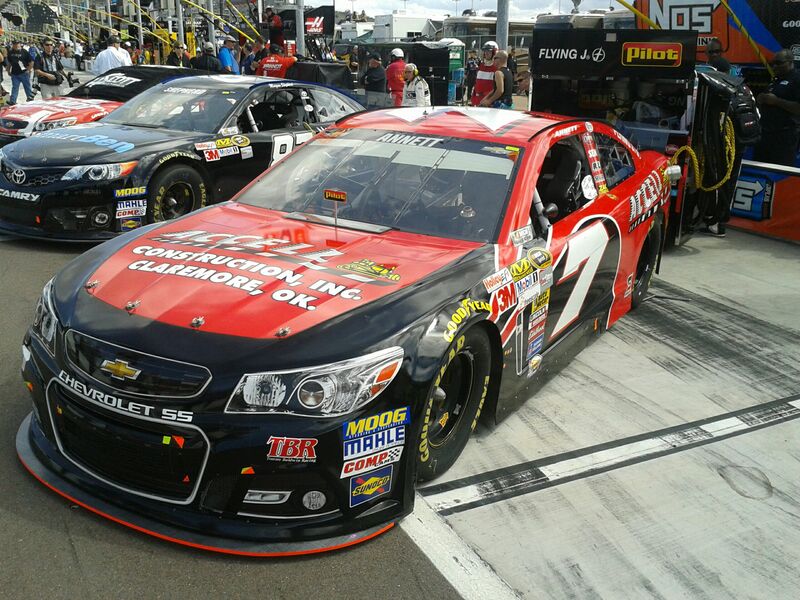 Tommy Baldwin Racing is heading up to Richmond International Raceway next weekend for some night racing. 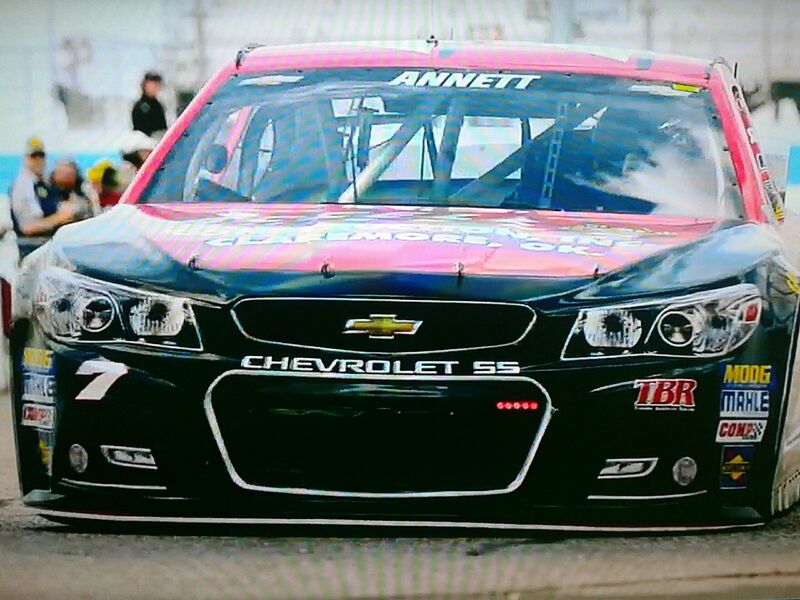 Currently JJ Yeley is 30th in the NASCAR Sprint Cup Points, 188 points behind leader Jimmie Johnson.